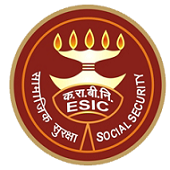 ESIC Telangana Jobs Recruitment Notification 2018.Employee State Insurance Corporation (ESIC) inviting applications for the positions of assistant and junior engineers in Telangana Medical and hospital college posts.Interested and Eligible candidates can apply for the positions. Eligibility Criteria, Education Qualification, Salary details candidates to check your official site. Applicants can download the application form from the official site and attach all documents to send to the given address below. On 10th September 2018 applicants may attend the interview. ESIC, Ministry of Labour & Employment, Government of India, Telangana.